Two of the most popular add ons for the Amazon Firestick are Kodi and Terrarium TV. With a little extra effort on the set up (about 20 minutes worth), you essentially have the entire world’s video library at your fingertips. The key to making the install process for both Kodi and Terrarium TV so easy is the Firestick Downloader. What is Firestick Downloader & Why Do I Need It? 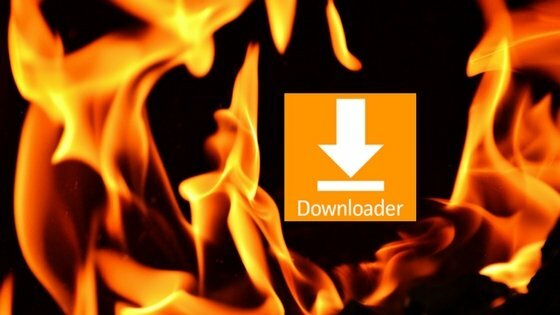 Firestick Downloader is an app that streamlines the process of sideloading other apps onto your Firestick. Sideloading is the term for adding unofficial applications that are not in the Amazon app store. Downloader lets you type in a path to download software. Then it allows you to download and install the file. You have to find the path ahead of time. It is not like an app store where it lists a bunch of programs you might want to download to your Firestick. In this case, you might want to install both Kodi and Terrarium TV. You can find the paths below. If there are other programs you want to sideload onto your Firestick, other step-by-step instructions will have links as well. So why do you need the Amazon Firestick Downloader? It makes your life easy. Instead of old, complicated methods for adding more apps to your Firestick, Downloader just streamlines the process. Open up your Firestick and press the Home button on the Firestick remote to get to the Home screen. Once you have Downloader for your Firestick, you can add all sorts of apps. The next sections have more step-by-step instructions for installing Kodi and Terrarium TV. Kodi is an app that allows you to access all sorts of media, but it’s most popular use is movies and TV shows. It does this by not providing any content itself. Instead, you can install add ons that allow access to specific media directories. From there you can stream just about anything you want. Keep in mind, when you install Kodi, it’s important to keep it updated. Their team is continually releasing new versions which improve upon the current ones. They add improvements like bug fixes and close security holes to keep you safe online. Once you have the Firestick Downloader app, installing Kodi is also super easy. Remember that you will still have to install the add on for the shows and movies you want to watch. On your Firestick go to Setting -> System -> Developer Options. Make sure Apps from unknown sources is still switched to “on” from when you installed Downloader. It will open to a Kodi screen with another prompt to install. Click “Install” again. Terrarium TV (at its heart) is essentially the same as Kodi. You can access more movies and TV shows than you could ever watch. The developers built it for non-touchscreen devices. So that means that the Firestick remote is intuitive. Terrarium TV also has some extra features. You can download content to watch later. Download it to either your Firestick or another Android phone or tablet. Check out our full review of Terrarium TV. You will need software beyond Terrarium TV itself. Terrarium TV does not include a media player. For that, you can either get VLC from the Amazon app store or sideload MX Player. On your Firestick go to Setting -> System -> Developer Options. Make sure both Apps from unknown sources is still switched to “on” from when you installed Downloader. Open Downloader and type in “http://terrariumtv.com”. Or use http://bit.ly/ttv184kftv to direct download the Terrarium TV APK to your Amazon Firestick. Optional (recommended to save space on your Firestick): Once installed, you can safely delete the Terrarium APK from your Firestick (you don’t use it beyond installing.). To browse your Firestick’s “Download” folder, just get ES File Explorer (free) from the Amazon app store. If you’re having trouble with weird sized videos from Terrarium TV, go to settings and make sure you check “Force Android TV Mode.” That forces all the videos to fill the screen. For a tutorial on how to use Terrarium TV for Firestick, check out the video below. Kodi vs. Terrarium TV – Which one is Better? Both Kodi and Terrarium TV allow you to watch almost anything. So in the battle of Kodi vs. Terrarium TV, which one do you choose? Kodi has more customization options than Terrarium TV. You can choose different add ons that focus on different things, say old movies or anime. The problem with services that give you the ability to watch whatever you want (including things that infringe on copyrights) is that the more popular they get, the faster they get shut down. Kodi has been around for a long time and is extremely popular. Popularity means that the more attention it gets, the faster the apps providing illegal content get shut down. There are scare stories about users getting notifications from their internet providers about streaming content, but those are rare to begin with. They also can be entirely avoided by using a VPN to mask what you are doing online. Both are great at what they do. It just depends on your particular setup and preferences. Why Not Get Both Kodi and Terrarium TV for Firestick? There really isn’t a reason not to get both. It takes a little more time to set up, but then you have the best of both worlds. You can decide for yourself which is better. If you would never use the download feature in Terrarium TV, then it doesn’t do you much good. If you like one interface more than the other, that’s the tool for you. Many people install Kodi and Terrarium TV without realizing that they could infringe on copyright violations. So it comes as a shock that they get an angry letter from their internet company. Unlike the heyday of music piracy in the late 90s, companies are rarely going after people anymore. They’re targeting the service providers. It’s bad press when you sue a sweet old lady out of Small Town, Somewhere for more than her house is worth. That doesn’t mean you cannot get in trouble. It’s just unlikely. But protecting yourself from the FBI’s threat of a $250,000 fine and/or 5 years in prison isn’t a bad idea. Disclaimer: We do not advocate or support pirating movies, music or anything else. Explanations are for educational purposes only. Use the information at your own risk. A VPN makes your anonymous on the internet. It drops any risk you take from slim to none.